It’s been a while since I’ve checked in to see what French designer Sebastien Wierinck (previously here) has been up to, and not only has he been busy at work with his tubular installations and benches, but the Sebastien Wierinck WorkShop also has a nice new website. 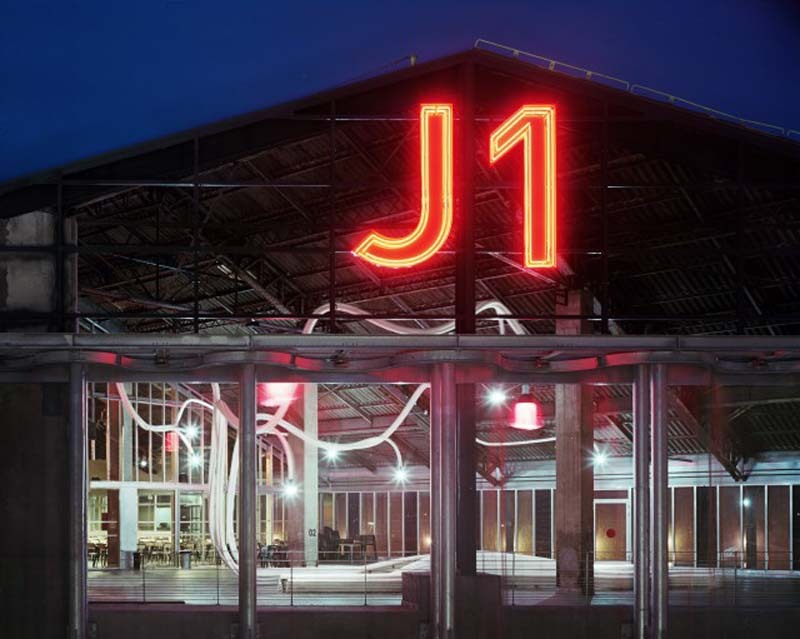 One of the newer projects is a white tube installation in the recently renovated J1 Hangar, a 6,000 sq. 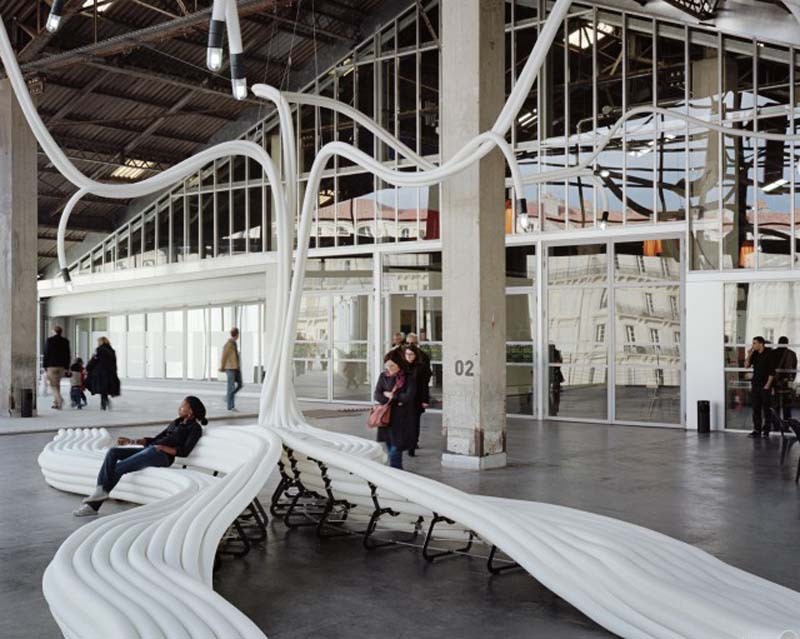 meter seafront space in Marseille, France, made available to the European Capital of Culture as an exhibition space. Wierinck’s long and winding recycled polyethylene plastic tubes occupy the large space beautifully, creating seating space and lighting in addition to just looking cool. The J1 Hangar and tubular installation will reopen in October and be open to the public through January 2014.